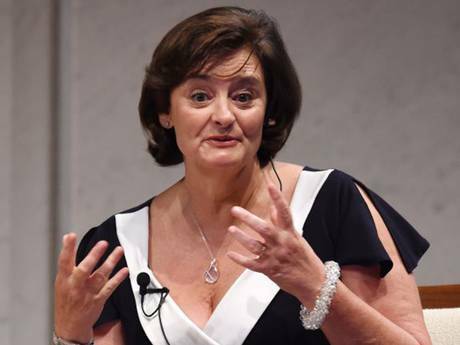 Soon after getting hired by the Maldives government to ‘improve its image’, Cherie Blair’s Omnia Strategy LLP, sought to distance themselves from any controversy even with many suggesting an end to the democratic process for hiring a third party. The opposition Maldivian Democratic Party (MDP) on Saturday accused Cherie Blair’s law firm, of lying over its role advising the authoritarian regime of Maldives President Abdulla Yameen. “Our objective is to assist the Government in strengthening democracy, rule of law and restoring investor confidence,” Omnia said. They further stated that they would not get involved in domestic politics. However, on Saturday, Toby Cadman appeared at a press conference in Male’ alongside Foreign Minister Dunya Maumoon, where he revealed Omnia’s actual work involved responding to the claim submitted by President Nasheed to the UN Working Group on Arbitrary Detention. In the press conference, Cadman made a robust defense of Nasheed’s jailing, and even suggested that his 13-year sentence should have been a life sentence. Moving away from the truth, Cadman even went as far as suggesting that former president Nasheed’s right to legal counsel was guaranteed. Mohamed Nasheed however, was repeatedly denied the right ot legal council and often appreared without his lawyer in court. “Omnia Strategies is the very worst kind of mercenary outfit. They are taking possibly millions of dollars in exchange for helping a dictatorship keep a democracy hero in jail.